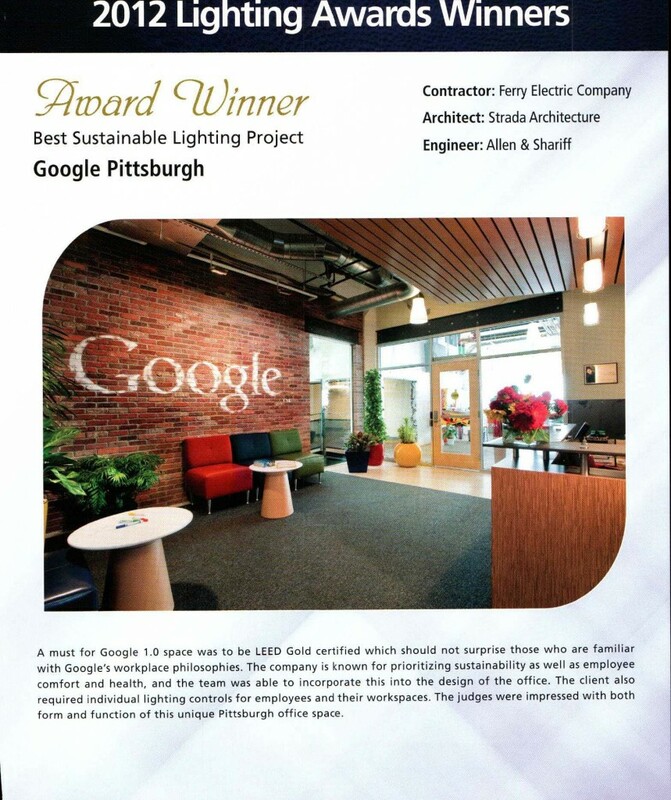 At the Hall of Honor and Outstanding Lighting Awards Gala on October 6, 2012, the Electric League of Western Pennsylvania selected the Google Pittsburgh 1.0 project as the Outstanding Lighting Award for Excellence in Sustainable Lighting Design. 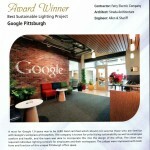 Allen & Shariff Engineering, LLC was the electrical engineer for this project. Other members of the team include Strada (architect), Ferry Electric Company (electrical contractor), and A. Martini & Co. (general contractor).